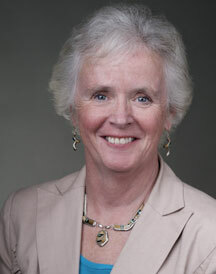 She was inducted into the Massachusetts Mathematics Educators Hall of Fame in 2005. She earned the ETA/Cuisenaire Distinguished Service Award in 2011. Anne is the past president of the Association of Teachers of Mathematics in New England and the Association of Teachers of Mathematics in Massachusetts. She is an active member in the Association of Statewide Supervisors of Mathematics, the National Council of Teachers of Mathematics, and the National Council of Supervisors of Mathematics. She is the series editor of NCTM's publications Assessment Sampler: Tasks Aligned with Principles and Standards of School Mathematics and Using Classroom Assessment to Improve Student Learning. She serves or has served as a mathematics content author for online mathematics projects with CISCO, Raytheon, the Jason Foundation for Education, and Math Resources. She was also a reviewer for NCTM's Focal Points, and Middle School Mathematics Journal. Anne is an elected member of the NCTM Board of Directors.